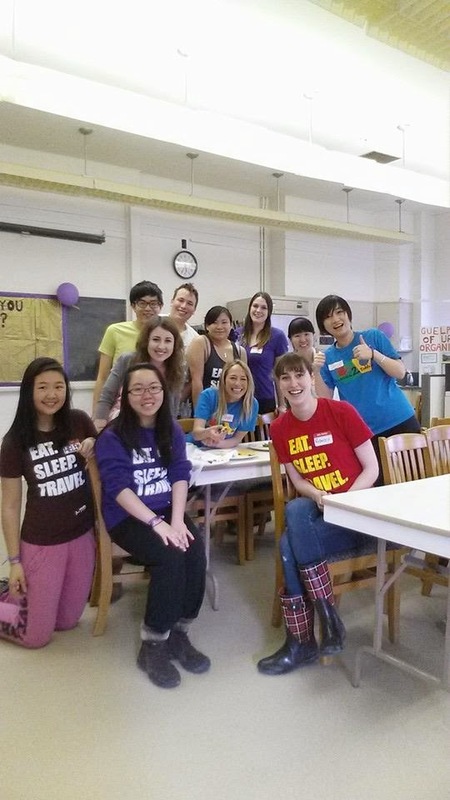 Garden2Table: Lookback at College Royal! 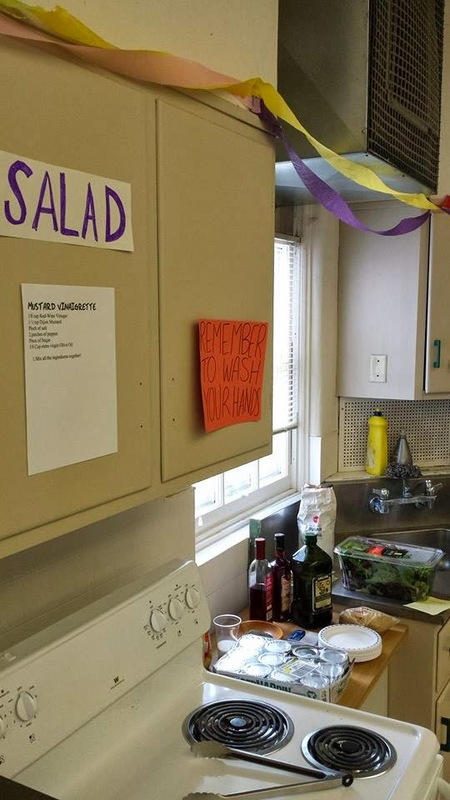 This past College Royal weekend Garden2Table opened the doors to the foods lab to teach kids how to cook kale chips, microwave potato chips, eggplant pizzas, mustard vinaigrette salad and smoothies! We also had a guessing game where kids were asked to close their eyes, try a new fruit or vegetable and then guess what they were eating! Our most popular station was the smoothie station where kids chose what they wanted in the blender. For the younger kids, this was the best time they had used a blender and had a great time learning to put the cap on a blender, pushing the buttons and helping hold the cap down! 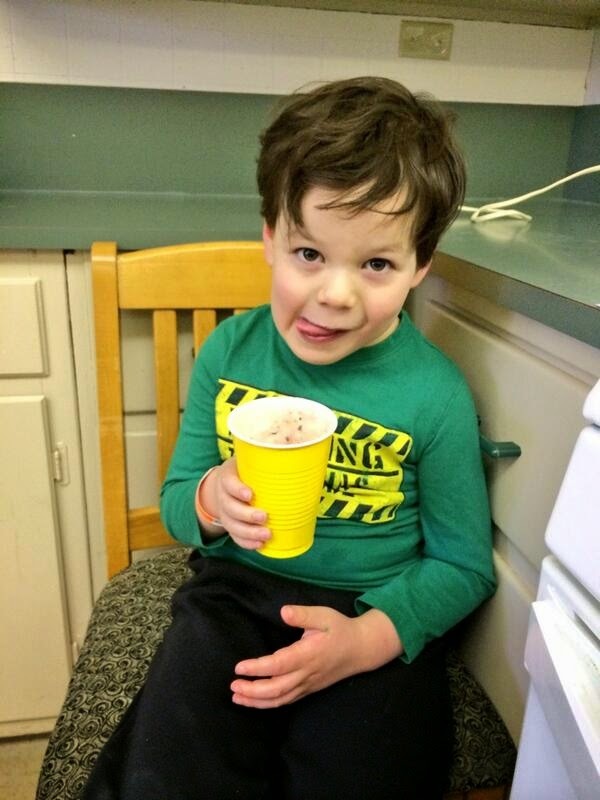 Here's Kaz enjoying his strawberry banana smoothie! Wash Kale and let dry. Shred Kale using a knife or with your hands into bite size pieces. Drizzle Kale with olive oil and sprinkle with seasoning salt and pepper. Bake until the edges are brown. 10 – 15 minutes. A lot of the kids (and parents) were surprised they liked kale chips as well! 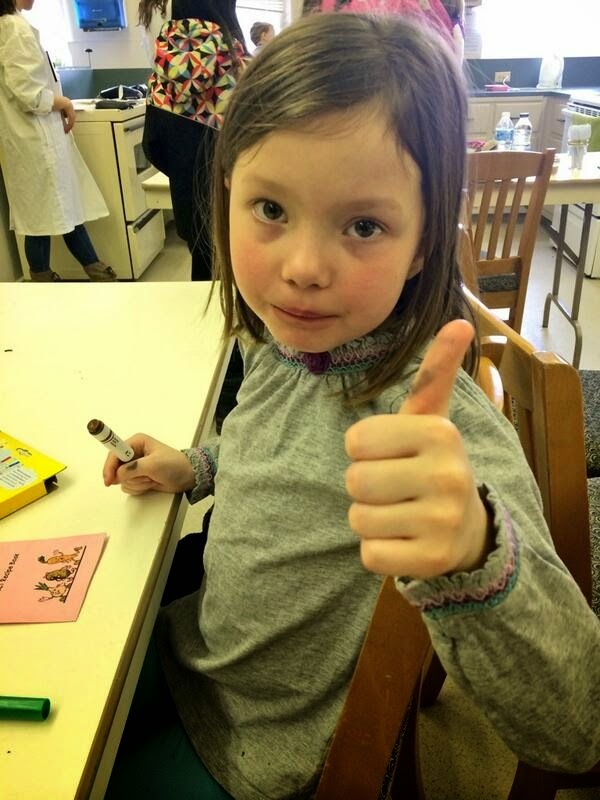 Here's our number one kale chip fan giving us a BIG thumbs up! One of our most surprising recipes were the microwave potato chips. 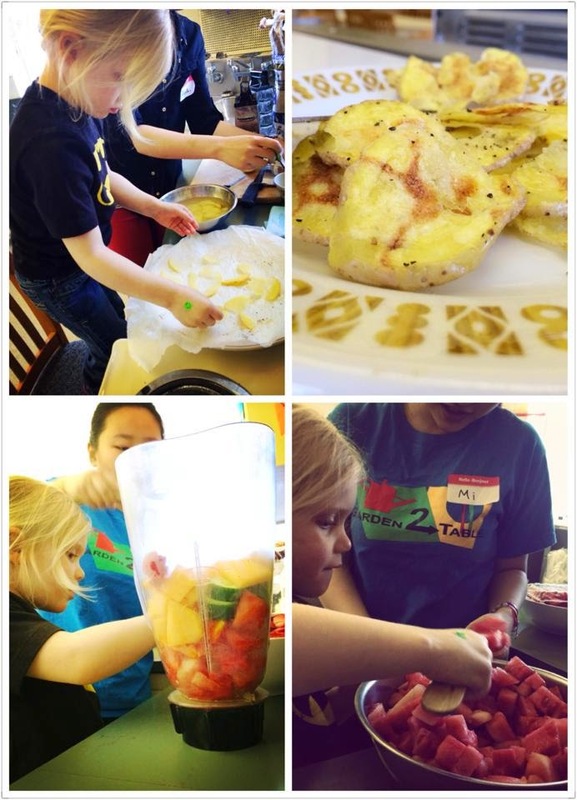 A lot of the parents agreed that it would make a fantastic after school snack, and they would be sure to remake them at home! Wash and dry the potatos. Thinly slice the potatoes with the help of an adult using a knife, mandoline or side of a cheese-grater. Aim for 1/8 inch slices. Place the slices in cold water to prevent browning while you slice all the potatoes. Dry the slices with paper towel or a salad spinner. Arrange the slices onto a microwavable plate, making sure none of them touch. Brush lightly with olive oil and sprinkle on salt and pepper. Microwave the slices at high power for 3 minutes. Wait 1 minute before flipping them all over and microwaving again for another 2 minutes. Remove any chips that are starting to crisp or brown, and continue microwaving chips on medium power at 1 minute intervals until they are all crispy and golden. Another surprising recipe was the Eggplant Pizza! Parents couldn't believe we got their kids to try eggplant! 2.) Wash and dry eggplant. Thinly slice eggplant into circles with the help of an adult. 3.) Arrange eggplant rounds onto baking sheet and brush lightly with the olive oil. 4.) Bake eggplants in preheated oven until hot, about 5 minutes. 5.) Remove from oven and wait one minute before flipping all eggplant rounds over. 6.) Sprinkle with Parmesan cheese. 7.) Return to oven and bake until cheese is melted, about 5 minutes. 8.) 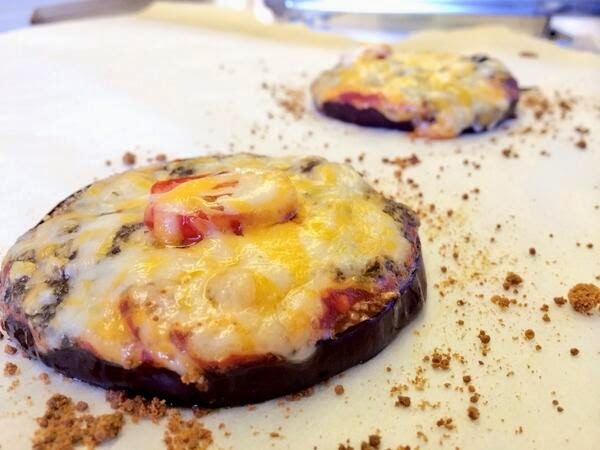 Remove from oven and add a spoonful of tomato sauce to the centre of each eggplant round. Top with Cheddar cheese. 9.) Return to oven and bake until cheese is bubbling. About 5 minutes more. Season with salt and pepper. 1. Mix all the ingredients together! 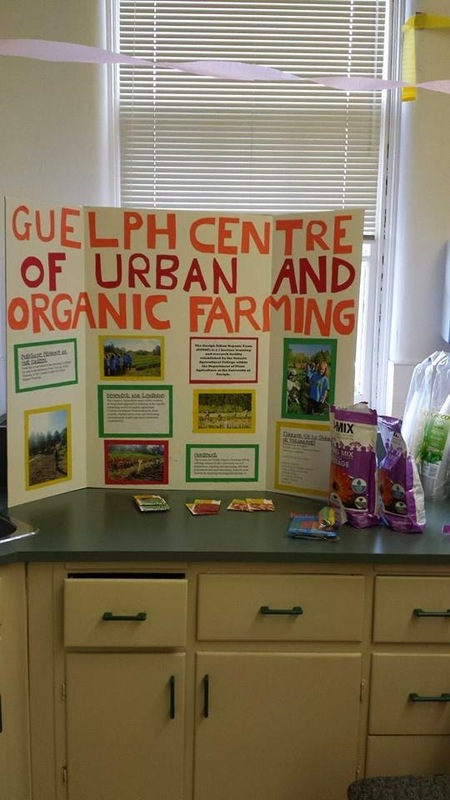 We also had a little planting station to help promote the GCUOF! Kids got to plant their own green beans! 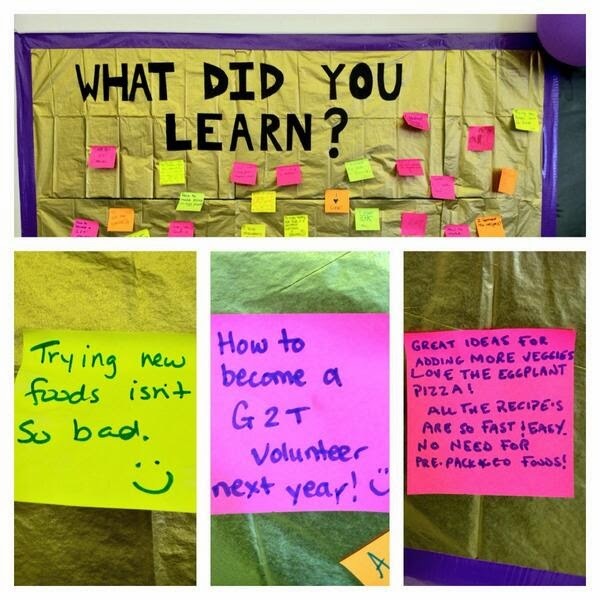 We asked everyone to write what the learned this weekend, and write it on a sticky note. Here's some of the replies we got! 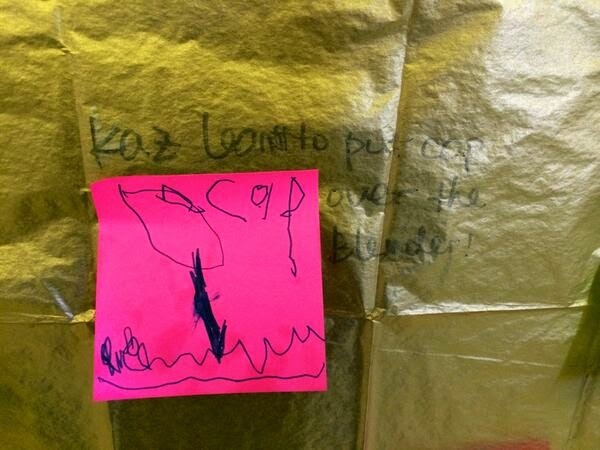 Little Kaz here learned how to put a cap on a blender!